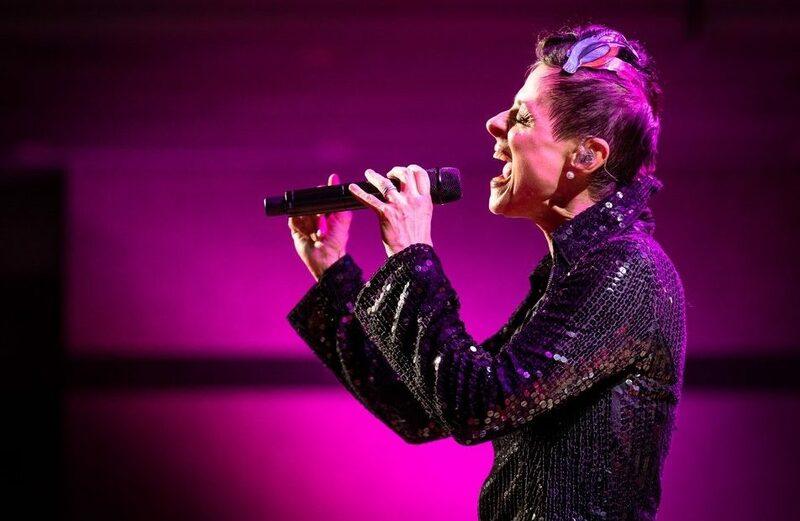 Last night saw sassy soul singer and northern powerhouse Lisa Stansfield bring her 2018 tour – in support of her new album, Deeper – to this historic London venue, the last date on her UK circuit before she heads off to the continent. Support came from Israeli singer-songwriter Irit – backed by an accordion player, guitarist and percussionist – but, while she was certainly energetic and enthusiastically received, the warmup act’s music wasn’t really this reviewer’s cup of tea. Stansfield first made her name featuring in Coldcut’s 1989 single People Hold On, a top 20 hit for the electronica collective. This was followed later that same year by This Is the Right Time and All Around the World (the latter was Lisa’s only number one as a solo performer and remains her signature song). Deeper was released earlier this month and it was numbers from the record which got the proceedings underway – the uptempo Everything and the more slow-burning title track, to be precise. The sublimely groovy Never, Never Gonna Give You Up came next and had the audience up on their feet, while the original 1997 video from this Barry White cover was shown on the screen behind. The vocalist didn’t speak too much, preferring to let her emotive singing voice do the talking – a voice which is still as impactful as ever. “I’ve never played the Palladium before, but I want to play it again,” the performer said at one point, acknowledging the very positive reception her material was deservedly getting. Other tunes of note from her impressive new album included the powerful Hercules – “We’ve all got a little Hercules inside of us,” she said beforehand – as well as Hole in My Heart and Billionaire. The crowd were up on their feet as one once again for the timelessly groovy The Real Thing, while the heartfelt So Natural was performed acoustically. A real high point came in the form of All Woman, one of her finest songs – again expertly delivered. At 52 years of age, Stansfield undoubtedly showed that she most definitely still has the voice, songwriting talent and on-stage presence to warrant her star status. The London Palladium was sold out tonight, and it’s easy to see why. For further information and future events visit Lisa Stansfield’s website here.